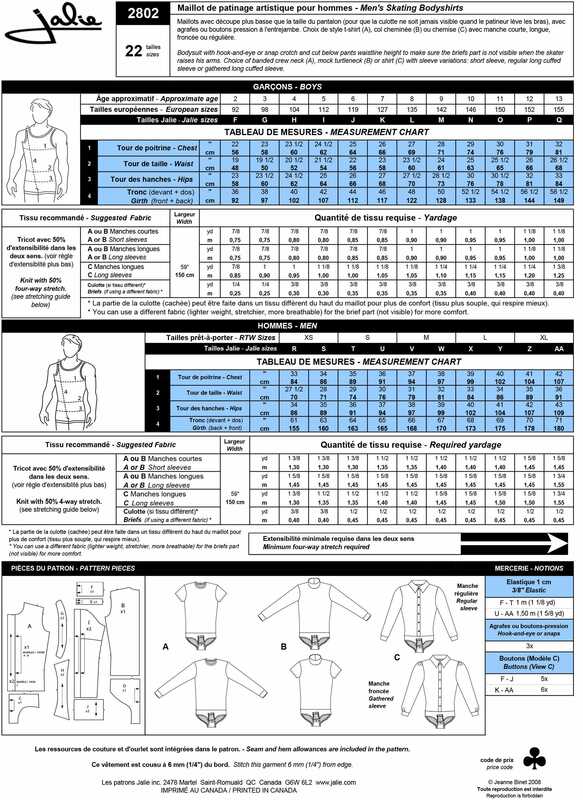 Package includes patterns and instructions to make bodysuit with hook-and-eye or snap crotch and cut below pants waistline height to make sure the briefs part is not visible when the skater raises his arms. Choice of banded crew neck (A), mock turtleneck (B) or shirt (C) with sleeve variations: short sleeve, regular long cuffed sleeve or gathered long cuffed sleeve. Great for Competition Dance too! I just cant wait to use this pattern. I love this brand.